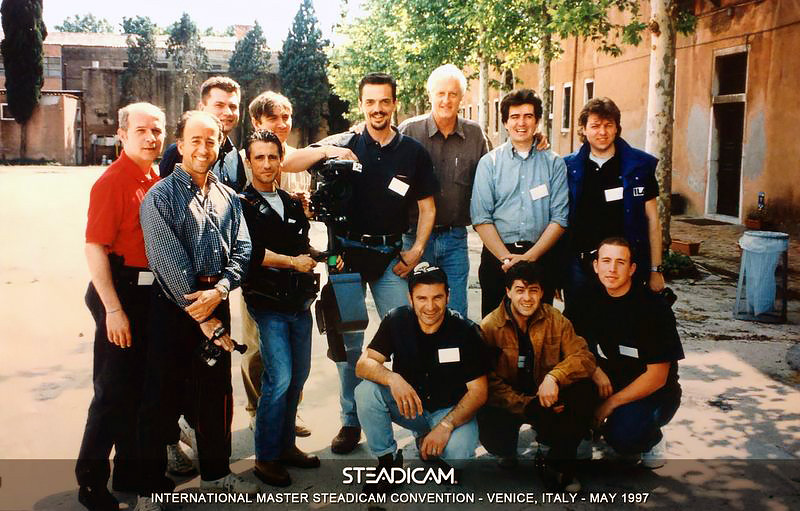 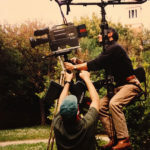 A historic photo with the guru and Steadicam’s inventor Garrett Brown (with its unmistakable white hair), during the International Master Steadicam Convention in Venice (1997). 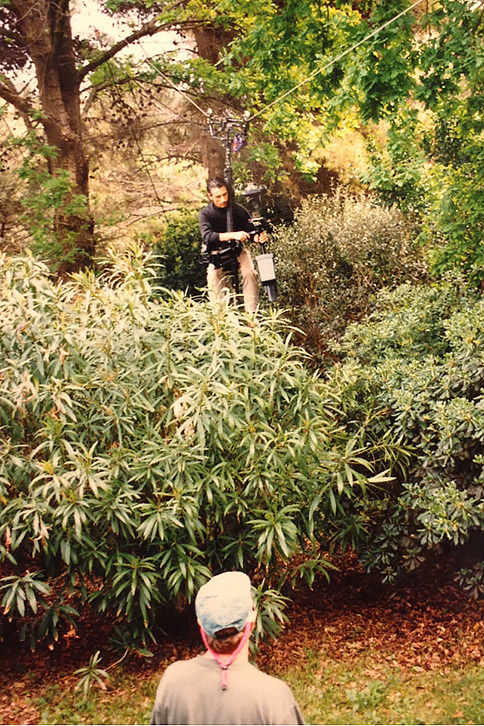 I am the lowest and still young at that time  with the Steadicam wearing. 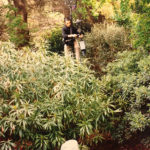 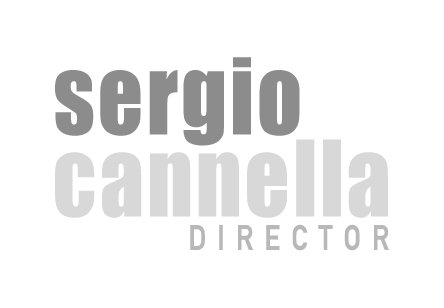 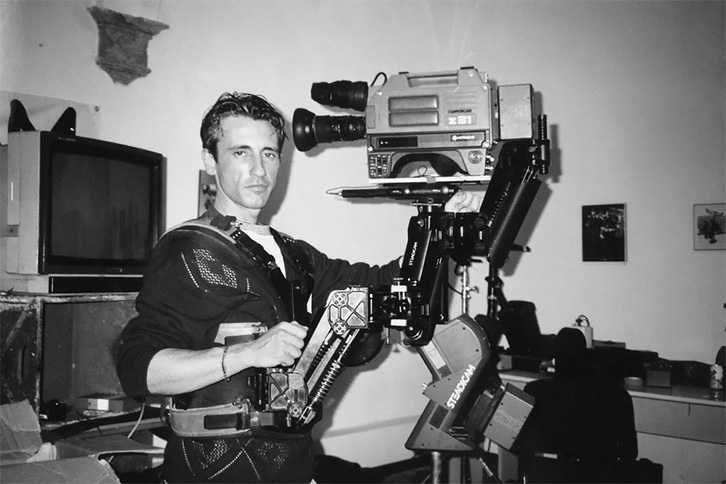 At my left side, another great Steadicam operator, Alex Brambilla. 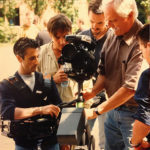 An old and fantastic photo with Garrett Brown. 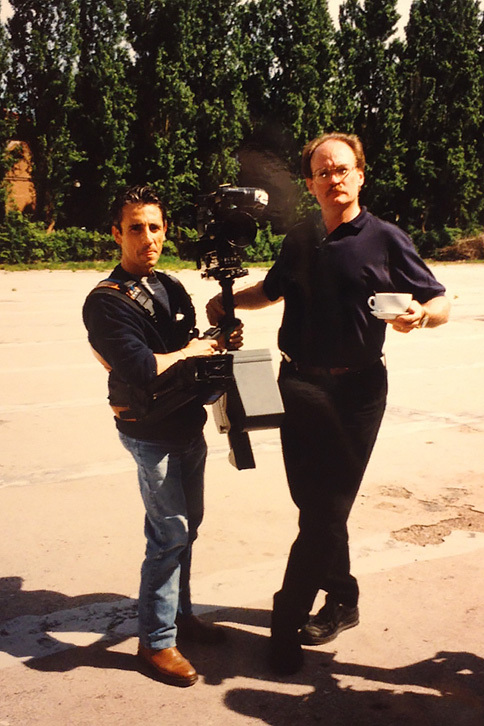 Steadicam tea break with Larry Mconkey (Carlito’s Way, Mission Impossible and much more). 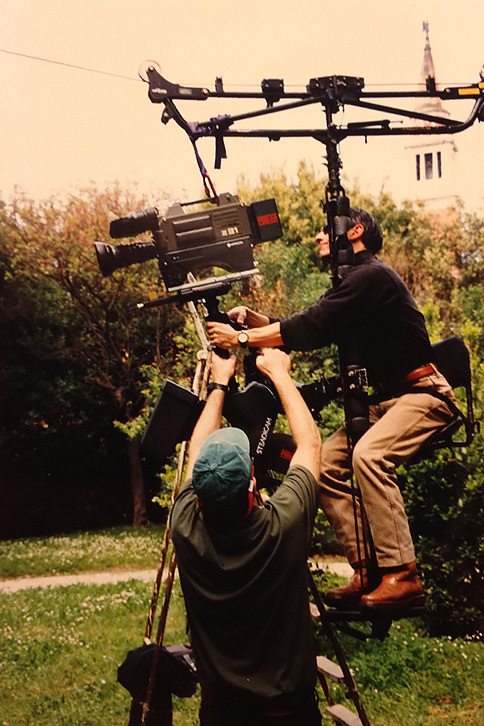 Experimenting the first model of Skycam with a great Jerry Holway. 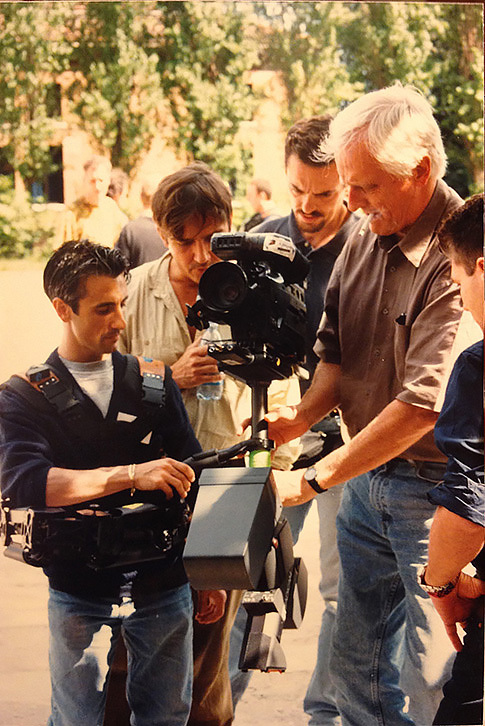 20 years ago. 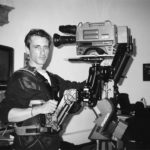 A hilarious experiment wearing the Steadicam vest with hooked not two, but rather three arms. 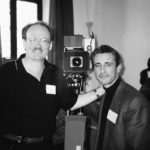 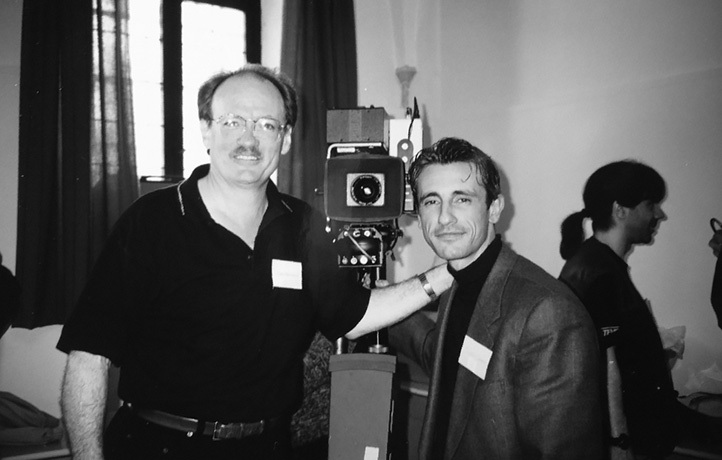 Larry Mconkey and me (Venice 1997).